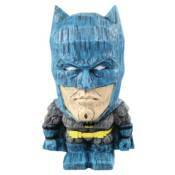 Introducing Justice League Batman, Batman (Blue Variant Costume), and Superman Eekeez Figurines from FOCO! These poly resin figurines each stand 4 inches tall come in window packaging. They're perfect for collectors and fans of DC Comics!